Tear Off Calendar Magnets are considered a safest brand building tool by many marketers because they serve above expectations and offers best value for investment. When it comes to tear off calendar magnets, the expectations further soar and results double up. This is the first thought that may rattle your mind when you hear about these tear off magnetic calendars. You can easily contain them over your refrigerator door or working cabinets at home and office. These fridge calendar magnets easily buy attention due to its space friendly size and exquisite designs. People can rarely overlook it without a solid reason?! Age old myth that “cheap needn’t be utile” is hence broken! We’ve grown up hearing that cheap isn’t the word for utility, but this calendar magnet proves otherwise. You can seek them at most cost effective prices that you can ever think about. Also, it remains in service than any other cost effective budget gift you have invested. Perhaps you can avail many more benefits on placing bulk orders of this magnetic fridge calendars at a online magnet store. Attractive price structure, discounts, free shipping, free art set up and design – are some features, which make wholesale tear off calendar magnets affordable for most businesses and individuals. You won’t get bored while scouting them at any online store offering calendar magnets or other promotional magnets. They can be availed in all sizes, shapes, designs, colors and budget sizes. You can simply have good time, while choosing them. People have special affinity towards tools, which serve their purpose and triggers their interest, too. A tear-off calendar magnet meets both these criteria with ease. They are loved by kids and grown-ups alike. Most of them love scribbling some important information over them. It makes a good refrigerator art and reminder at the same time. As said above the magnetic tear-off calendars can work for all those who care for their customers or loved ones and wish to influence them positively. This calendar magnet can be gifted on all joyous occasions or opportunities, when you wish to address all your friends/customers or clients. It makes a very perfect choice for acknowledgement in the New Year. 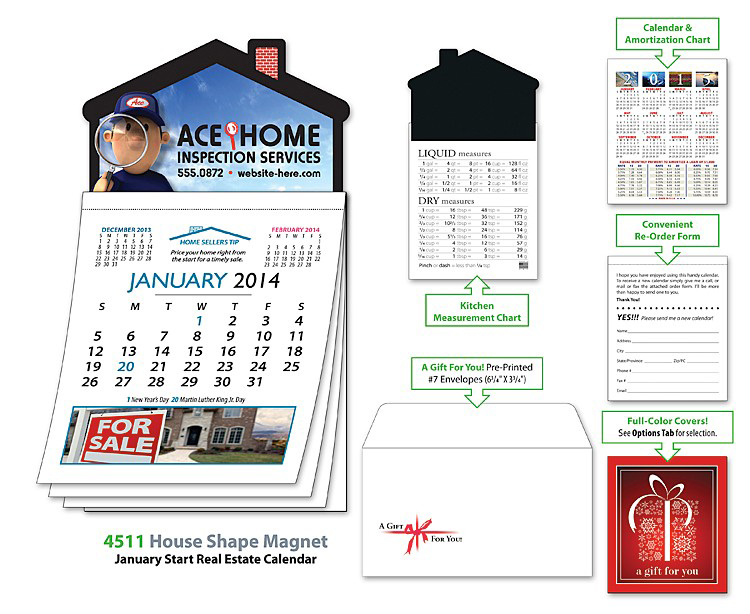 By now you might have realized, why a refrigerator tear –off magnetic calendar makes a safest investment of all. Hope you many more elite experiences to recount after gifting them during or after next New Year Eve.